I took a shot of Kennedy Space Center's Vehicle Assembly Building and space shuttle Atlantis at liftoff, so I thought it was appropriate to get one at landing, too. 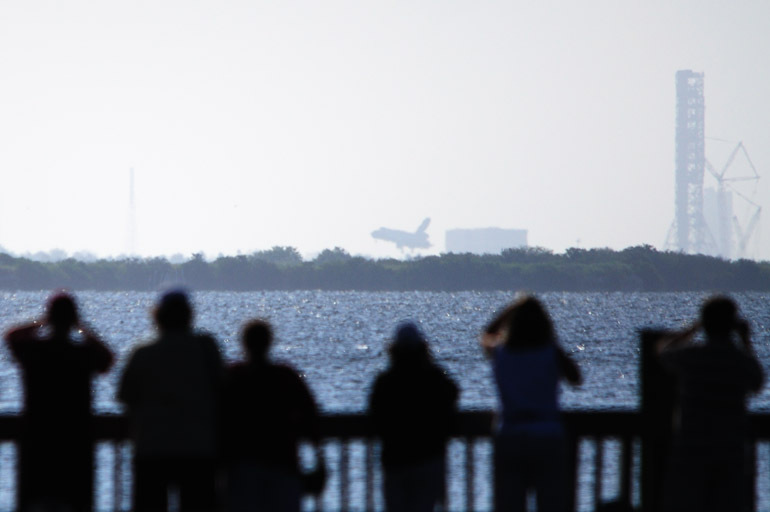 This photo, taken from Space View Park in Titusville, isn't great because the morning sun was beating down in the background, but it represents history nonetheless: At 8:48 a.m. today, Atlantis landed for the final time -- at least according to the current retirement schedule. About 30 people, including these ones at the end of the pier, came to Space View Park to watch the landing. Unlike launches, the shuttle's approach and touchdown are difficult to spot. 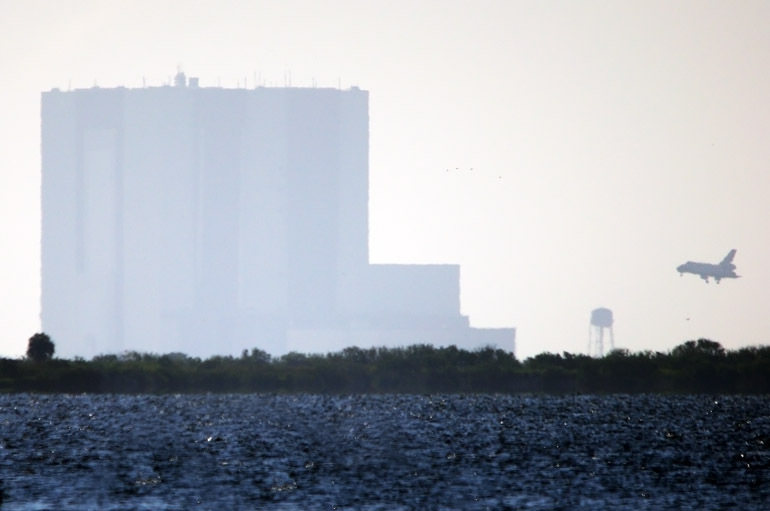 There are no engines running to emit exhaust, so the spaceship appears quite tiny from 15 miles away. Here's a video taken on my iPhone. Atlantis' sonic booms can be heard clearly despite my phone's inferior recording quality. I wish I was there to witness it. It is my dream to actually see in person those landings.